Approved by California voters in 2014, Proposition 47 reclassified several nonviolent drug and property crimes from felonies to misdemeanors, with the result that state prison is generally no longer a sentencing option for these offenses. Instead, individuals convicted of a Prop. 47 offense serve their sentence in county jail and/or receive local probation. As a result, the reforms initiated by Prop. 47 are intertwined with local criminal justice funding and policy decisions. Against this backdrop, the California Budget & Policy Center collaborated with Californians for Safety and Justice to create a guide to help local advocates promote criminal justice reforms through their own county’s budget process. In addition to explaining the basics of county budgeting, this guide provides a framework for investigating the impacts of Prop. 47 on county budgets. This framework highlights how recent criminal justice reforms — such as Prop. 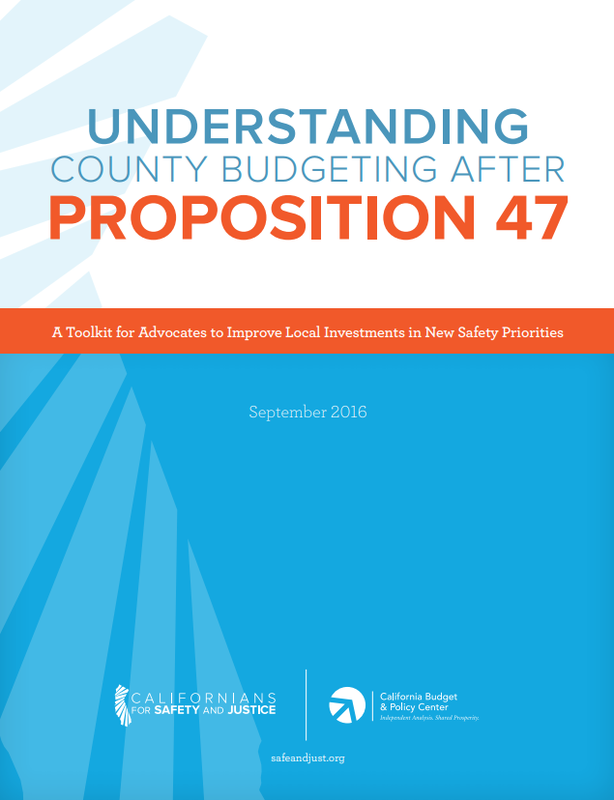 47 — have affected county jails and probation departments and includes a series of questions that advocates can pose to county officials to help evaluate the impact of Prop. 47 at the local level.